Minister of State, Joseph Harmon said the government remains committed to establishing the Public Procurement Commission. The Minister noted that recent media reports quoted the Chairman of the Public Accounts Committee, former Minister Irfaan Ally as saying that it (the Commission) will be among the first business of the National Assembly when it resumes Parliamentary sittings later this month. “We would like that to be a top priority as well, and we will give that our full support to ensure that it is fast tracked,” Harmon said. 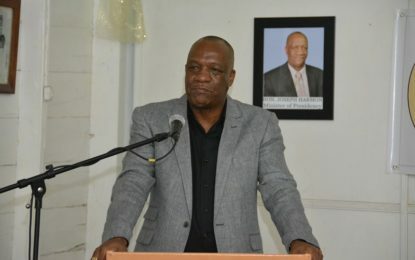 Meanwhile, addressing recent revelations on procurement processes at the Guyana Elections Commission (GECOM), Harmon said it could be “a possible breakdown in its (GECOM’s) procurement system.